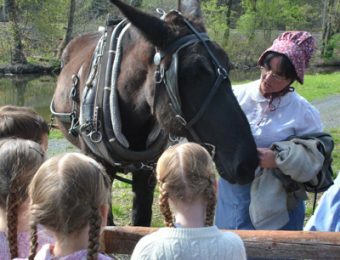 The Delaware & Lehigh National Heritage Corridor, comprised on Bucks, Lehigh, Northampton, Carbon and Luzerne counties in eastern Pennsylvania, is rich in history and culture that dates back hundreds of year. 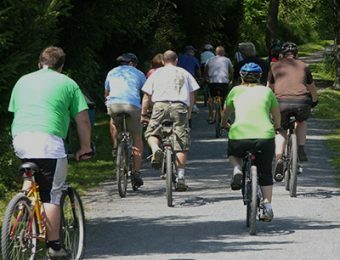 The Lehigh and Delaware canals played a very important role in shaping the area and forming it into what we know and see today. Below is a historic timeline showing the progression through the years. 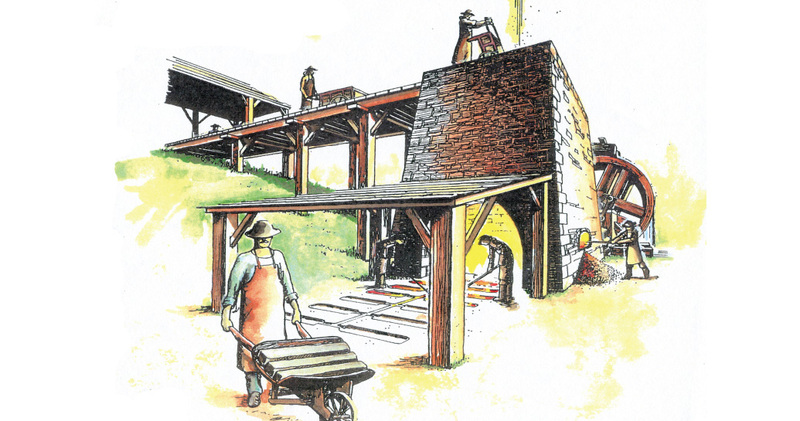 Founding of Durham Furnace in Bucks County. The furnace produced pig and bar iron and during the Ameri- can Revolution cannons, ballshot, and other military equipment for George Washington’s army. Philip Ginder discovers anthracite coal on Sharp Mountain in Carbon County, later called Summit Hill. 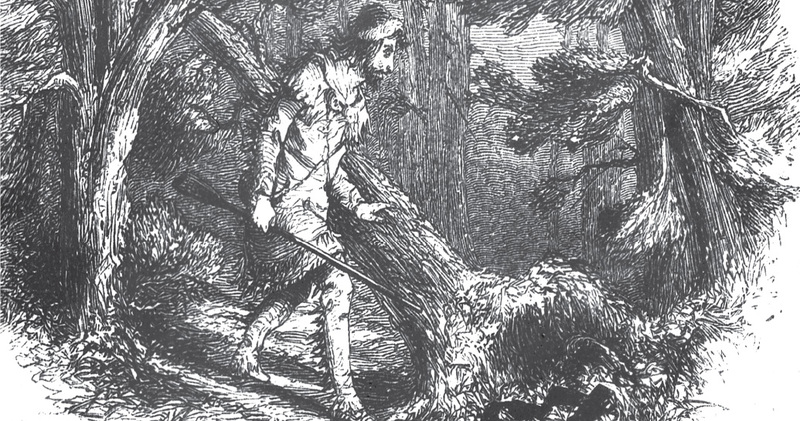 Ginder’s discovery became folk legend that was carried down through story and song. 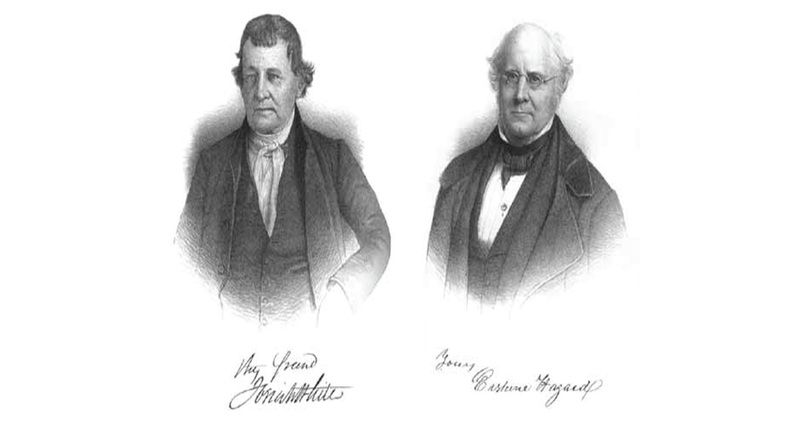 Josiah White and Erskine Hazard form the Lehigh Coal Company and the Lehigh Navigation Company and gain navigational rights on the Lehigh River from the Common- wealth of Pennsylvania. 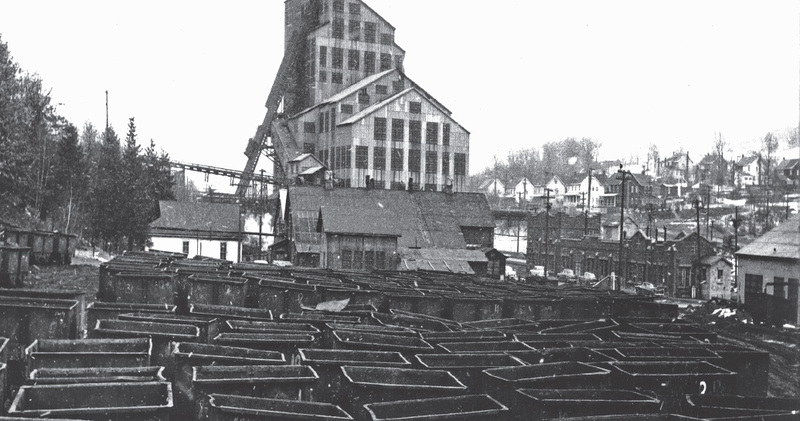 An open cut coal pit known as “The Old Mine” - in the Summit Hill area - was started by White and Hazard. This mine was located in the area of the “Mammoth Vein,” the most important coal deposit of the day. 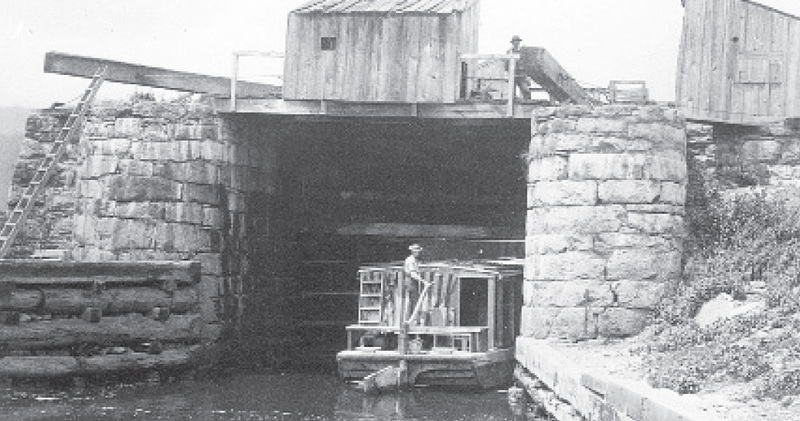 White’s bear trap lock system allows coal arks to navigate the Lehigh River and enter the Delaware River at Easton. 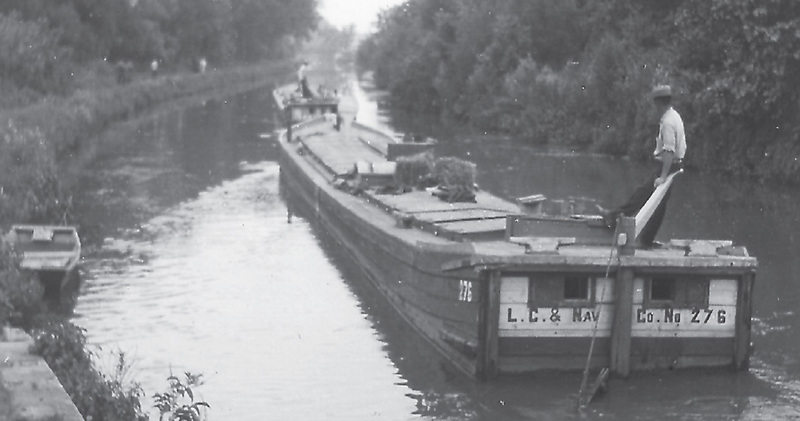 The one-way system lasted until 1826; construction of the Le- high Canal began in 1827. 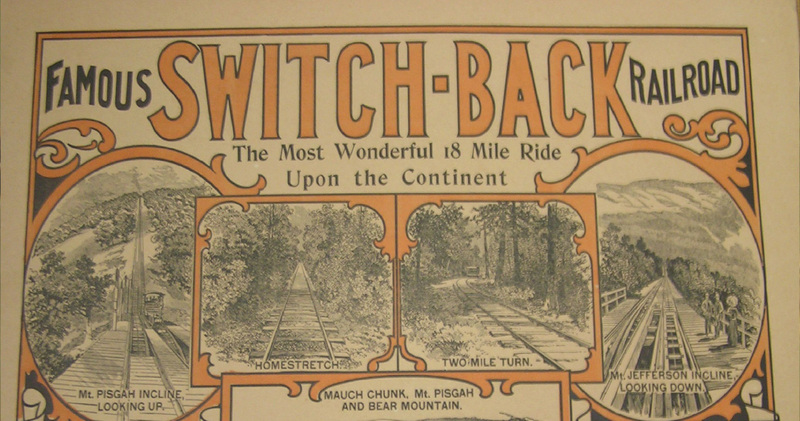 The Lehigh Coal and Navigation Company opens the Gravity Railroad, link- ing coal mines at Summit Hill to the Lehigh River at Mauch Chunk. The gravity railway lasted 100 years as a carrier of coal and tourists. 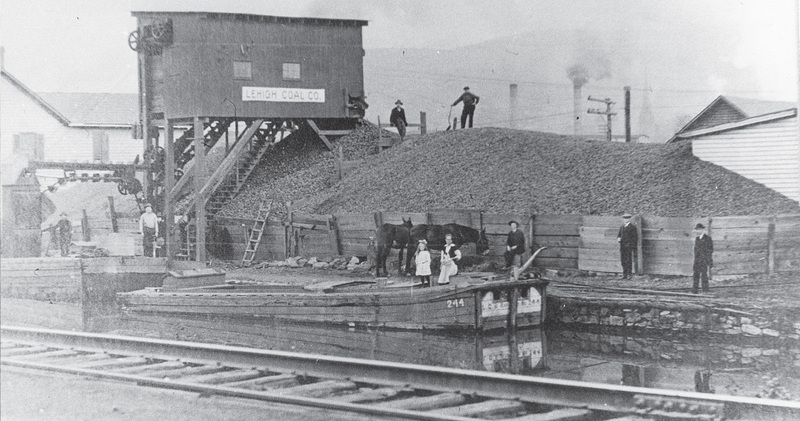 The Lehigh Canal, a two-way navigational system owned by the Lehigh Coal and Navigation Company, opens between Mauch Chunk and Easton, a distance of 46 miles. The canal was completed in two years. 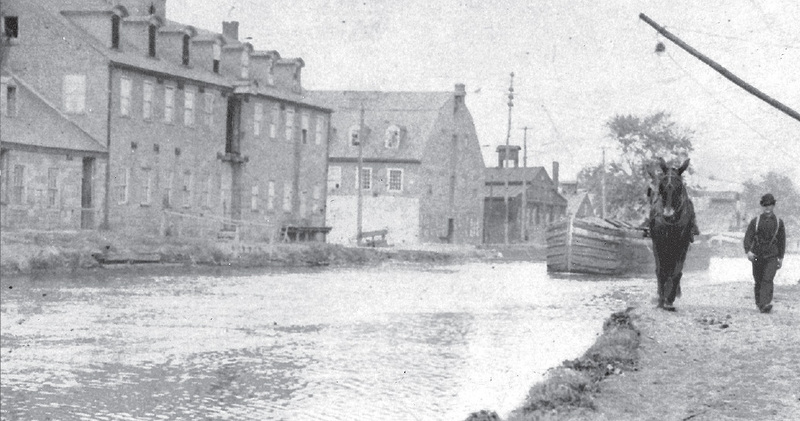 The Abbott Street area of Easton be- comes first industrial park in the United States, using water power from the Lehigh Canal. 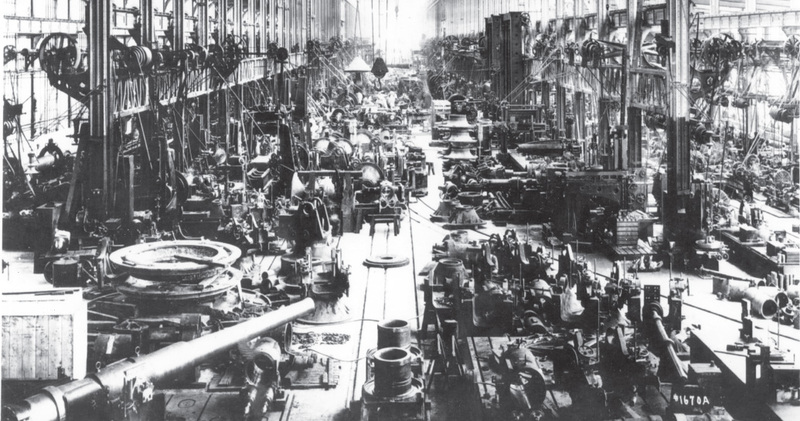 By 1840, over 1,000 men were employed at 12 industrial sites. 1834 The Delaware Canal and Morris Canal connect with the Lehigh Navigation (completed in 1829) at Easton. 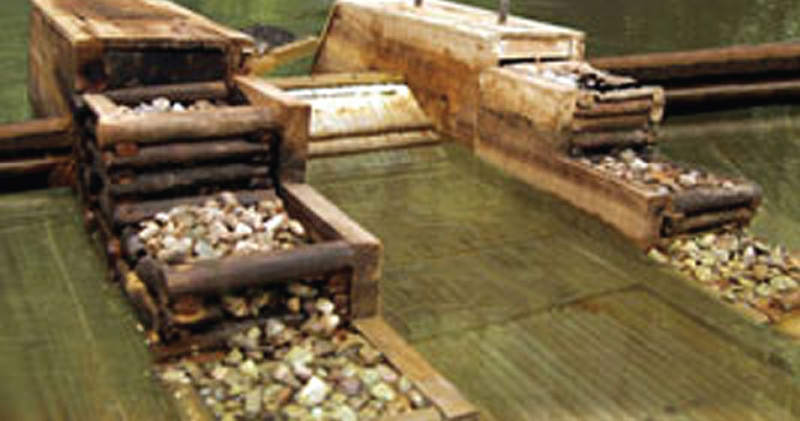 The three-canal system carried anthracite to the Philadelphia and New York markets. 1838 The Upper Grand section of the Lehigh Navigation is built from Mauch Chunk to White Haven. With 20 dams and 29 locks, this waterway overcame a difference in elevation of more than 600 feet. 1840 The American Industrial Revolution begins with the first large-scale production of iron using anthracite coal and local iron ore, at the Lehigh Crane Iron Works in what is now Catasauqua. 1848 Slate quarrying be- gins rapid growth with the founding of Bangor by Welsh immigrant Robert Jones. The “Slate Belt” extends through central Northampton County from Slatington to Bangor. 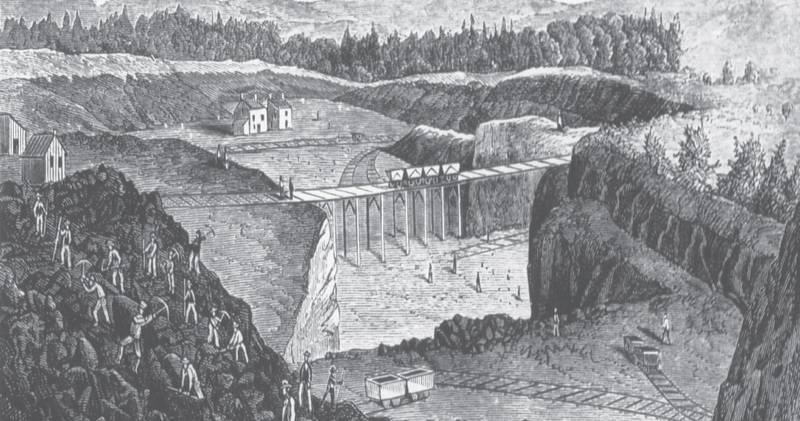 1855 The peak year of anthracite coal transport on the Lehigh and Delaware canals; 1.3 million tons of anthracite are delivered from northern mines. The Lehigh Valley Railroad opens late in the year. 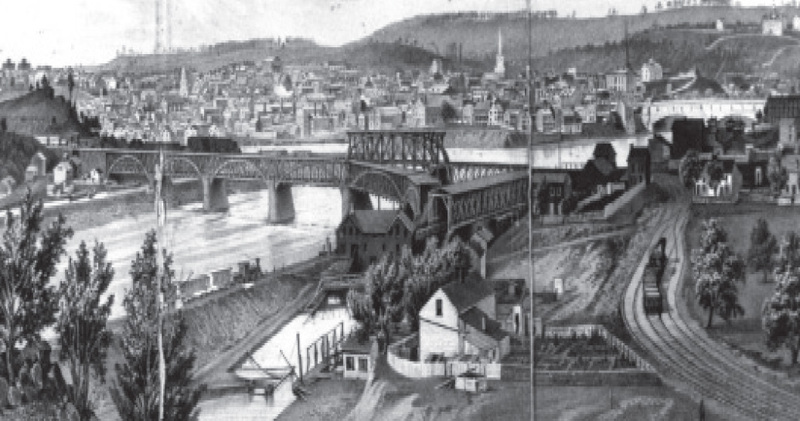 1862 The Great Flood of June 3-5, the Lehigh River region’s worst-ever natural disaster, destroys the Upper Grand section, the upper Lehigh lumber- ing industry, and much of the Lehigh Canal. 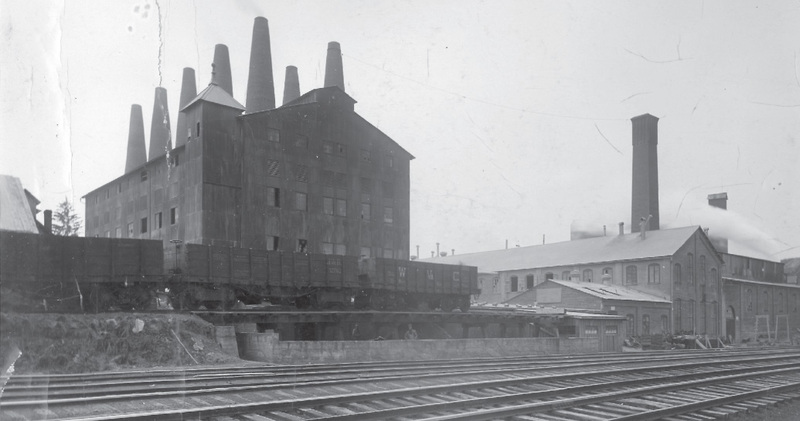 1863 The Bethlehem Iron Company begins production of iron railroad rails at its South Bethlehem location. 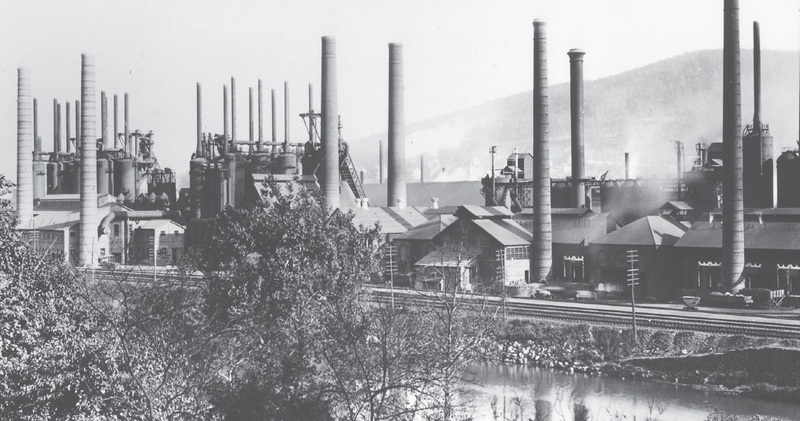 Bethlehem Iron Company was the predecessor of the Bethlehem Steel Company. 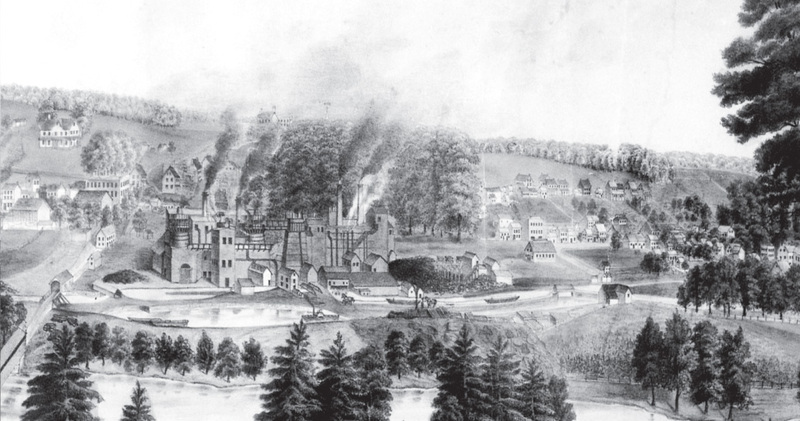 1869 Fire at the Avondale Mine near Plymouth, Luzerne County, kills 110 miners. 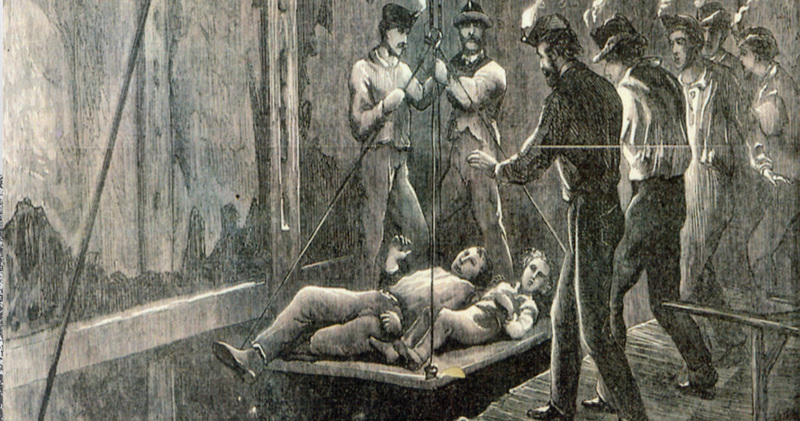 In response, Pennsylvania enacts the first mine safety laws in the United States, but the di- saster spurs mine union activity. 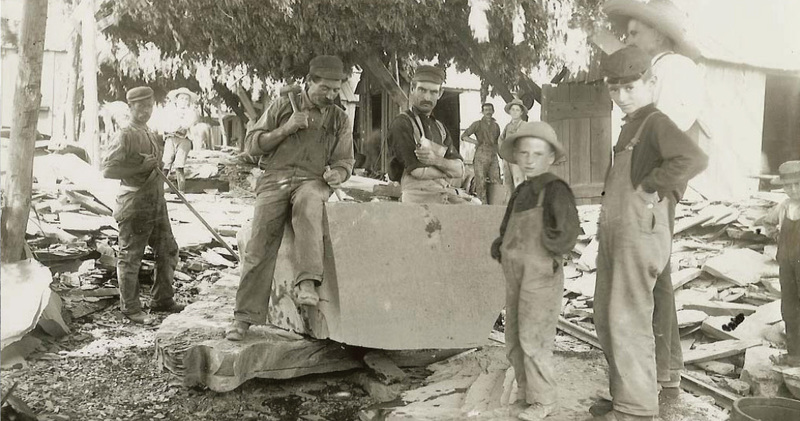 1875 David O. Saylor pro- duces the first port- land cement in North America at Coplay. During the next 20 years, the Lehigh District becomes the leading cement producing area in the United States. 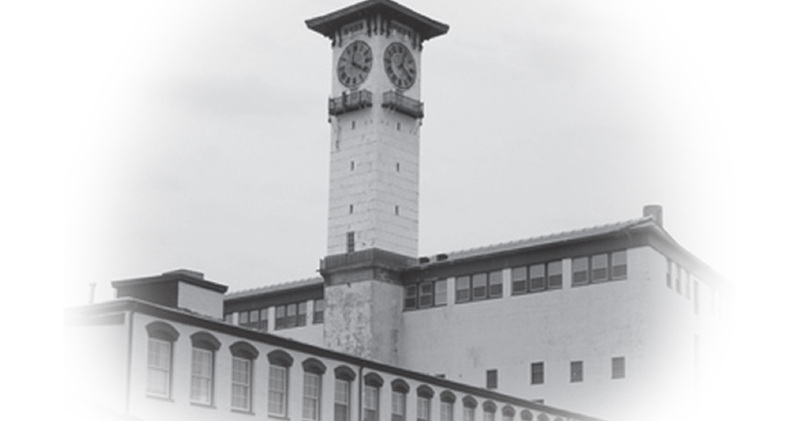 1876 The Grundy Worsted Mills are established in Bristol to manufacture woolen garments and rugs. The Mills be- come Bucks County’s largest in- dustrial employer and Bristol the county’s manufacturing center. 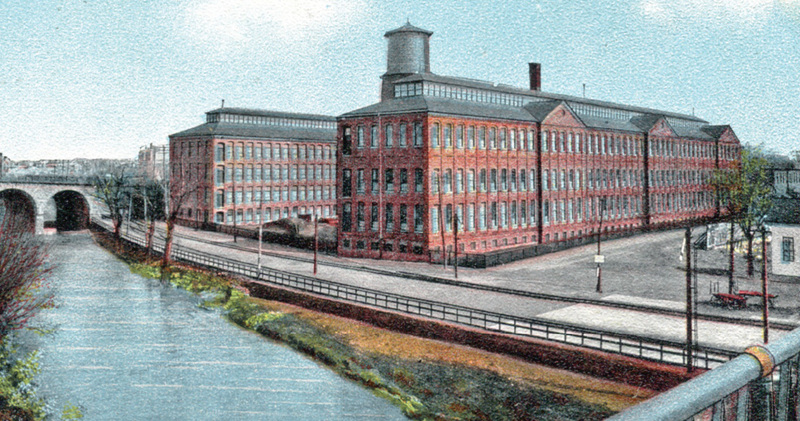 1880 The Adelaide Silk Mill, a subsidiary of Phoenix Silk Company of Peterson, New Jersey, opens in Allentown. By 1913, eastern Pennsylvania is the world’s leading silk producing area. 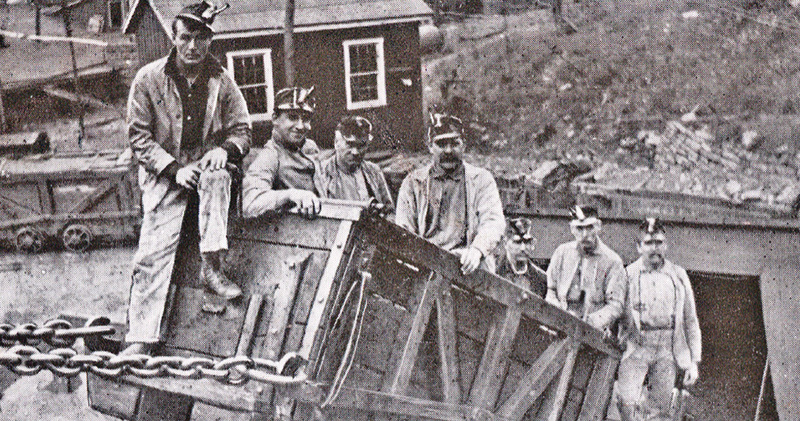 1902 Anthracite coal miners strike for 163 days, cutting off the United States’ main energy source. Miners win a 10 per cent pay raise and a nine-hour day, and union member- ship surges around the country. 1904 Charles Schwab and Joseph Wharton form Bethlehem Steel Company from Bethlehem Iron. “The Steel” produces armor plate and large naval guns and introduces wide- flange structural beams in 1908. 1925 Anthracite coal output falls drastically from a peak of 96 million tons in 1917 as miners strike for more than five months. The industry does not re- cover as the United Staes increases its use of oil and other fuels. 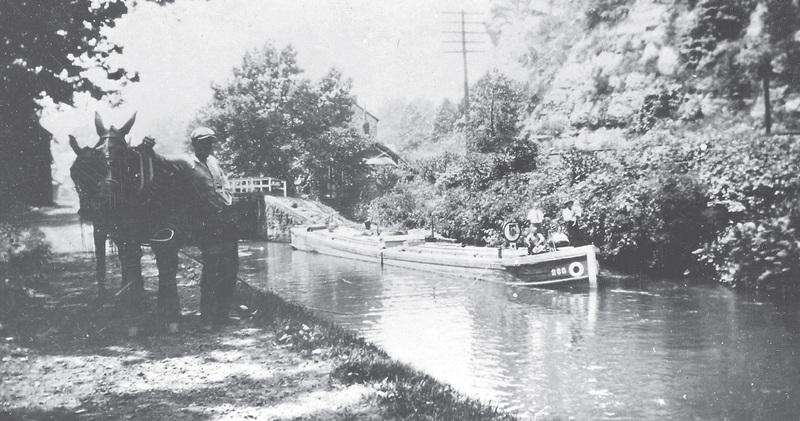 1932 The Delaware Canal closes. 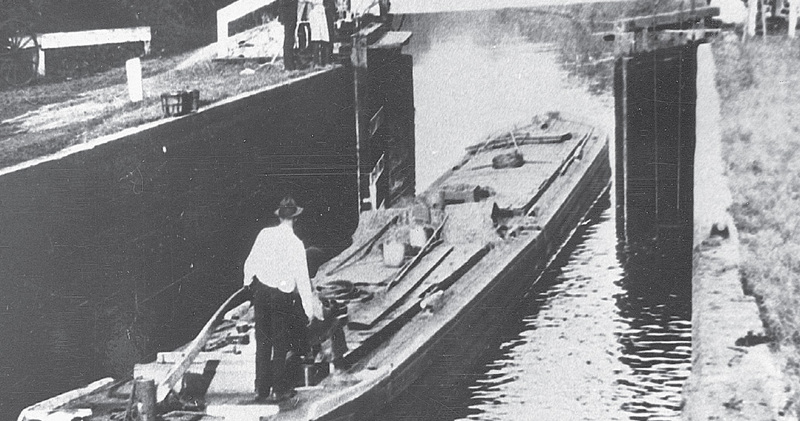 In 1939, an act is approved which permanently transfers the canal to the owner- ship of the Commonwealth of Penn- sylvania. The canal becomes Theodore Roosevelt State Park. 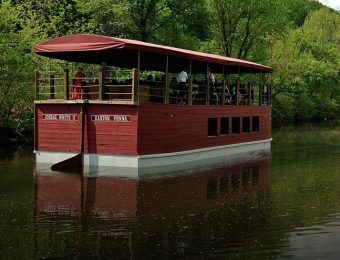 1942 The last mule-drawn boat on the Lehigh Navigation makes its final trip in the spring. 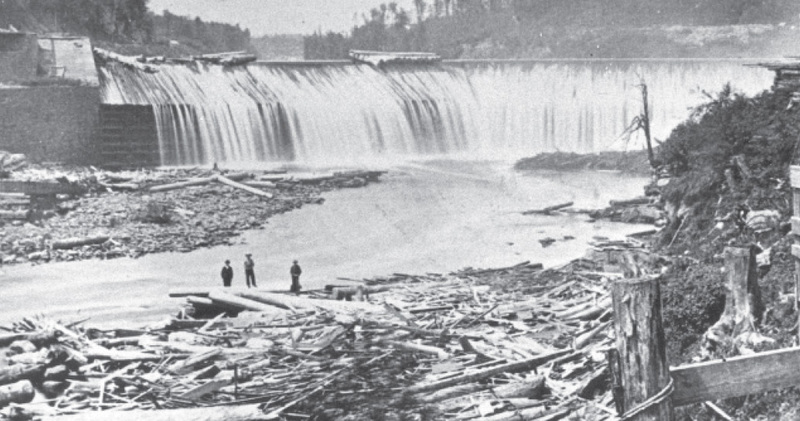 Soon afterwards, a flash flood destroys “great sec- tions” of the Lehigh Navigation. A decision is made not to rebuild.